Summer is in full swing, and it's a prime time to enjoy outdoor time with your pets! 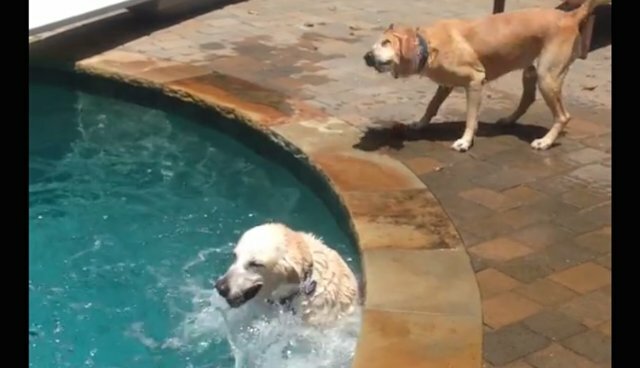 These two pups are making the most of their pool-time this summer, and they have NO intention of being typical sunbathers. While one shows off his diving prowess by fetching a ball from the bottom of the pool, the other prefers sitting and splashing... but, like, he REALLY loves splashing. It's essentially his favorite thing ever. Because is there any better way to celebrate an awesome summer than lots of pool-time splashiness?